Who doesn’t want a relaxing spa-like master bathroom? Here are Moder Bathroom design ideas to add functionality, design, and beauty to your home. All surfaces were fabricated and installed by Surface One. Ready for an update? Make an Appointment with Surface One Today! Who says you have to use tile on your shower walls? In the GBAHB 2015 Ideal Home, built by Fowler Construction, the Master Bathroom shower featured full-length slabs of Silestone on the shower walls. The seamless shower design is modern and very easy to clean. A custom cut shower shelf was created from Silestone in keeping with the sleek and modern design. Tone on tone tile flooring in the shower and the bathroom creates a monochromatic design throughout this luxurious bathroom. The smooth Silestone surface makes this master bathroom shower very easy to clean and there are no messy grout lines. Framed by glass walls and a glass shower door, the soft white color, and sleek texture creates a relaxing and spa-like atmosphere. Learn more about Silestone here. 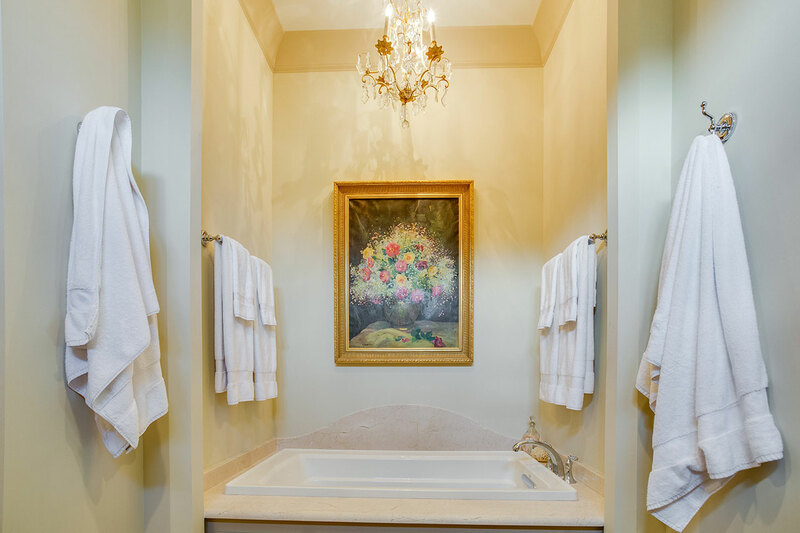 The tub is a great way to add elegance to the master bathroom. Marble has become a popular countertop choice for bathrooms and can be used as decking to frame the bathtub. Custom cut backsplashes are another modern touch that can be added to this focal area. Mixing and matching cabinet styles and flooring choices accentuate the design. The possibilities are endless. 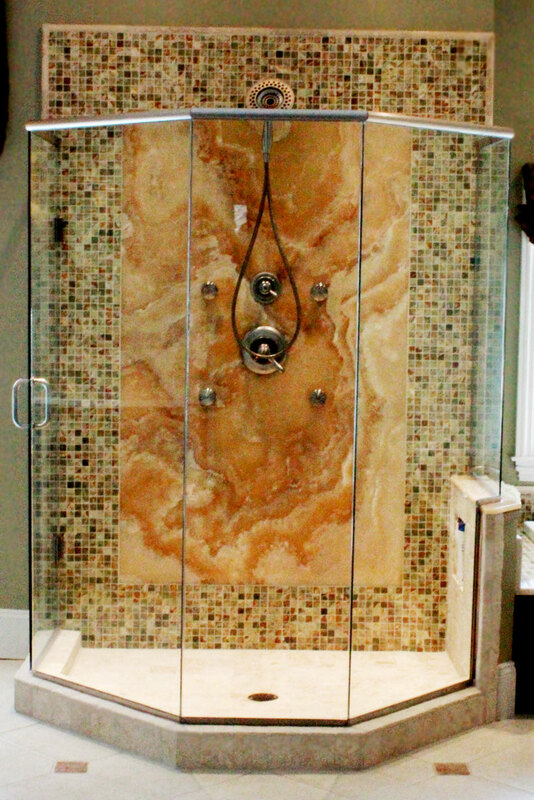 If you are looking for a bold statement, why not create a focal point in the shower using an exotic stone like Onyx? Onyx is a highly colorful stone with unique patterns and a wide range of rich color variations. Onyx is semi-translucent and can be back-lit or under-lit to highlight the beauty of the stone. Learn more about Onyx here. Surface One stocks a variety of unique and exotic stones that can be fabricated for countertops, tub decking, shower walls and many other focal points throughout your home. If you can dream it, we can cut it. Let our expert designers help you create new modern accents for your home or office. Contact Surface One for an appointment today.